We have a new Super Walmart here in town and I am LOVING that I can buy some unique and different items there! 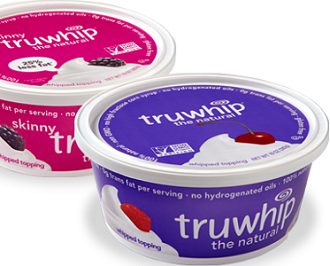 Many Walmart (& Kroger stores sell Truwhip Natural Whipped Topping for around $1.98. Plus there is a $2 off Truwhip Natural Whipped Topping Printable Coupon making these FREE! **Please note, prices may vary by region.